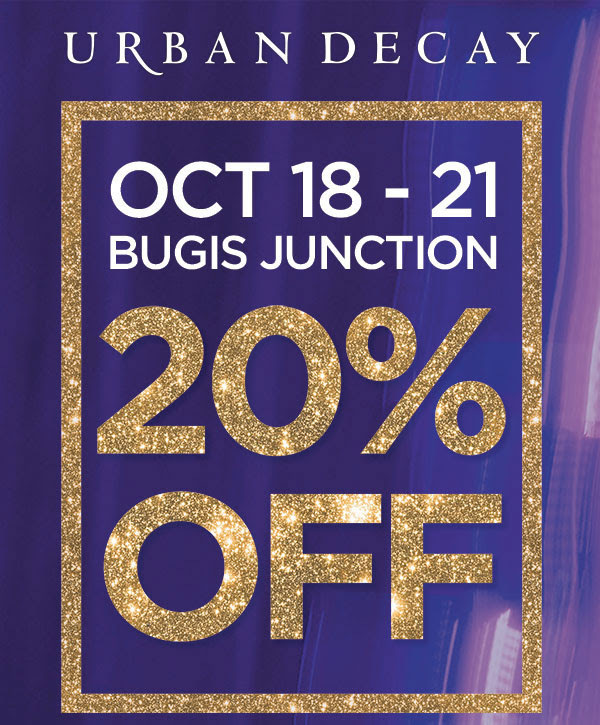 Home > Beauty, Wellness and Sports > Beauty > Urban Decay: Get 20% OFF Storewide at Bugis Junction Outlet! 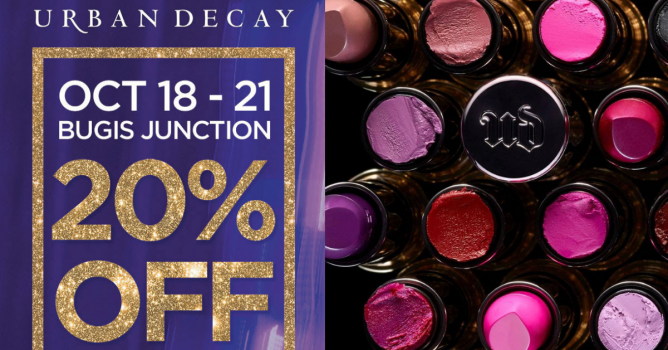 18 - 21 Oct 2018 Urban Decay: Get 20% OFF Storewide at Bugis Junction Outlet! Previous: Metro: Enjoy 20% OFF Storewide & Online Including Cosmetics & Fragrances! Next: [H&M] New knits on the block!